We enter NDSG Jackson mindful of legacies of dehumanization and violence in this country that continue to impact our host city as well as all of the communities we come from. To co-create justice and healing means to approach our time together with reverence for the generations of Mississippians that fought for civil rights and with readiness to be changed by the ongoing anti-racist work of Jackson students, teachers, parents, and community leaders. Reading and reflecting before the meeting is a way to enter Jackson respectfully. As you read, study, and research, please reflect on what this material means to you. Is it familiar? How? Are there differences with the context you work and learn in? How do you feel about those differences? What can you learn from those differences? Push yourself to ask new questions about your own context as you read. Who is making decisions, and who is not? How much voice do the people most affected by decisions about schools have? In your community, when you see people who are historically marginalized fighting for equity, what strategies are they using? White folks, as you read the assigned texts, pay close attention to what is new and what challenges you. Think about your own experiences, observations, and responses. How do you deal with the discomfort of recognizing white supremacy in the spaces you move in? How can you get more curious about your unearthing your own points of resistance, whether that shows up as, "why can't we all just get along?" or "my best friend is Black, so I can't be racist," or "they're being oversensitive," or other forms. What goals will you set for your own learning about race and equity? How will you work to decenter whiteness, and make space for multiple perspectives? How does the reading support this decentering and space making? Please take notes, and be ready to share your thinking and your learning process when we gather in Jackson. Below the readings are resources recommended by the Boston Youth Organizing Project. Spend some time with the Mississippi Civil Rights history videos and articles from NDSG 2018 readings and resources. "Will the State Takeover of Jackson Schools Be "Better Together" or the Same Old Education Politics"
America’s ongoing saga to “reform” public schools is filled with stories of state officials taking over“underperforming” school districts. Recent presidential administrations, including Obama’s, have approved of such takeovers even though, in nearly every instance--New Orleans, Detroit, Newark—takeovers are carried out by white state officials accusing black and brown communities of being unable to care for their children. ... The release of the in-depth report, conducted over nine months by Insight Education Group, marks a significant milestone in the process that began over a year ago when this group of partners opted for a "third way" to support transformative change for the state's second largest school district. The study, along with a diverse range of community engagement activities, focused on identifying the assets and opportunities that can be leveraged to ensure every JPS student receives an excellent education. This short video is unscripted, raw and REAL from an amazing young teacher we so badly need in Mississippi public schools. As Supreme Court nominee Brett Kavanaugh objects to being held accountable for his behavior in high school, we look at the criminalization of black and brown students that has led to what is known as the school-to-prison pipeline. We speak with a roundtable of community activists engaged in the fight to save schools and push for alternatives to punishment and privatization. Their voices are highlighted in a new book titled Lift Us Up, Don’t Push Us Out! Voices from the Front Lines of the Educational Justice Movement. White people in North America live in a social environment that protects and in- sulates them from race-based stress. This insulated environment of racial protec- tion builds white expectations for racial comfort while at the same time lowering the ability to tolerate racial stress, leading to what I refer to as White Fragility. 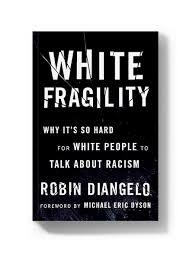 White Fragility is a state in which even a minimum amount of racial stress be- comes intolerable, triggering a range of defensive moves. 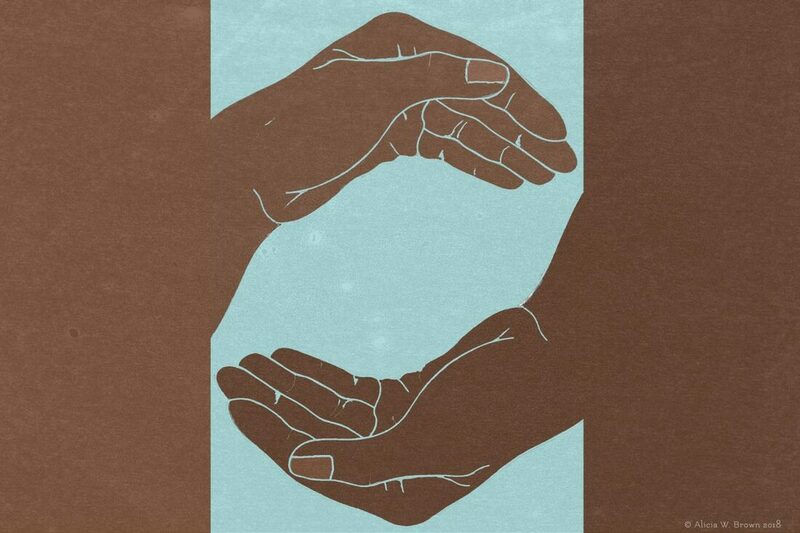 These moves include the outward display of emotions such as anger, fear, and guilt, and behaviors such as argumentation, silence, and leaving the stress-inducing situation. These behav- iors, in turn, function to reinstate white racial equilibrium. This paper explicates the dynamics of White Fragility. My first (and only) visit to the National Museum of African American History and Culture almost didn’t happen. My wife and I drove to Washington, D.C., after biking from Pittsburgh to Cumberland, Md., on a four-day and 150-mile trek that I still plan to write about eventually, but remain too traumatized by to write about yet. There are a million ways to compliment a Black woman. You could tell me I look radiant. Say you like my lipstick – it’s hard to find the right shade. Tell me you appreciate how my mind works. I’m not just fishing for compliments here. I’m giving you options to avoid the dreaded “compliment” of touching my hair. I’m breathing deeply as I write this. What I’m writing about is charged. I feel this energy in my body. It’s a heat in my throat and a rumbling in my belly. It’s an intensity that’s frustrated that these words must even be written. It propels me through my fears of backlash and worry about not getting it exactly right. What I say may anger you. You may disagree. You may feel more confused, and this, I would say, is good. It means the work can begin. ​Amazing 9 year old Asean Johnson brings the crowd to their feet Chicago schools closing rally in 2013. ​During their February vacation, over 2,000 Massachusetts youth from every corner of the Commonwealth convened in Boston to rally for youth jobs funding and to stop proposed cuts to the MBTA in 2012. ​Question: Najma, can you tell us about strategies for winning a campaign for the Boston Youth Organizing Project (BYOP)?